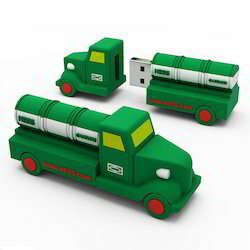 Our product range includes a wide range of tube pen drive, pvc pen drive, custom usb and logo pen drive. We are the leading Manufacturer, Trader, Wholesaler, Exporter and Supplier of Tube Pen Drive. 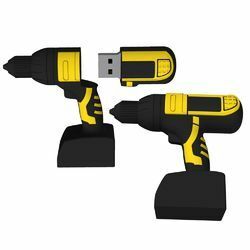 Unique Design, Unique quality & Unique price, all can value to your marketing needs, PVC rubber pen drives for your promotional requirements. To beat the competition and stand tall in the market, we are engaged in offering a wide range of Custom Shape Rubber Pen Drive. The offered pen drive is specifically designed by our experts using quality material & modern techniques as per the trends of market. This pen drive is comes in different sizes, & customized options to choose from. Our pen drive is checked by quality experts in order to dispatch a defect free range. Logo Shaped Customized Pen Drive in Silicon Material..